For the past nine years, I’ve been writing mysteries featuring Beatrix Potter. You know--the Victorian lady who wrote The Tale of Peter Rabbit. She’s the protagonist in an eight-book series called “The Cottage Tales of Beatrix Potter.” Book Seven in the series--The Tale of Oat Cake Crag--is out this month, and I’m working on the eighth book right now. And little Miss Potter herself seems like the ultimate cozy chick, at least by Victorian standards. She was a shy and lonely girl who lived an isolated life with a governess as a companion. She loved art and nature, and when she grew up she wrote and illustrated animal books for kids--a couple of dozen of them, with such perfectly charming titles as The Tale of Jemima Puddle-duck and The Tale of Mrs. Tiggy-winkle. She suffered through one broken heart (don’t all cozy chicks have at least one?) She hung around in a dutiful Victorian way to take care of her aging parents, who seem (by modern standards) to be very nearly insufferable. But wow. Miss Potter turns out to be one awesome Victorian lady. When the entire phalanx of London publishers rejected her first manuscript, she got extremely annoyed and self-published Peter Rabbit (1901). The book was then picked up by Frederick Warne and became an instant bestseller, to be followed by at least two bestsellers a year for the next twelve years. When her editor, Norman Warne, proposed to her (in 1905), she defied her parents and accepted his offer. 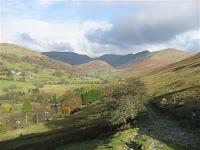 When Norman died (just a month after their engagement), she didn’t mope around in proper Victorian black: this city girl used her royalties to buy Hill Top Farm in the English Lake District. A farm? Honestly. She couldn’t live there (those parents again), but she could use it as a get-away, her own personal retreat, and she stayed there as often as she could. But the farm needed work, and of course animals, so she wrote more books so she could buy cows, pigs, chickens, and sheep. And then more books, so she could buy another farm (1909), and more cows and sheep, especially Herdwick sheep, a now-rare breed that she dearly loved. And then she defied her parents to marry her country lawyer (1913), and stopped writing books so she could become a full-time farmer and shepherd, which is what she did for the rest of her life. But there’s more. All that money Miss Potter earned from those phenomenally popular bunny books? And the money she inherited from her wealthy parents (whom she finally outlived)? She used it to buy more land. And more land. Over four thousand acres of the most beautiful land in England. Not to farm it, but simply to keep it from being grabbed by greedy real-estate developers. To conserve it, as it was, for future generations. 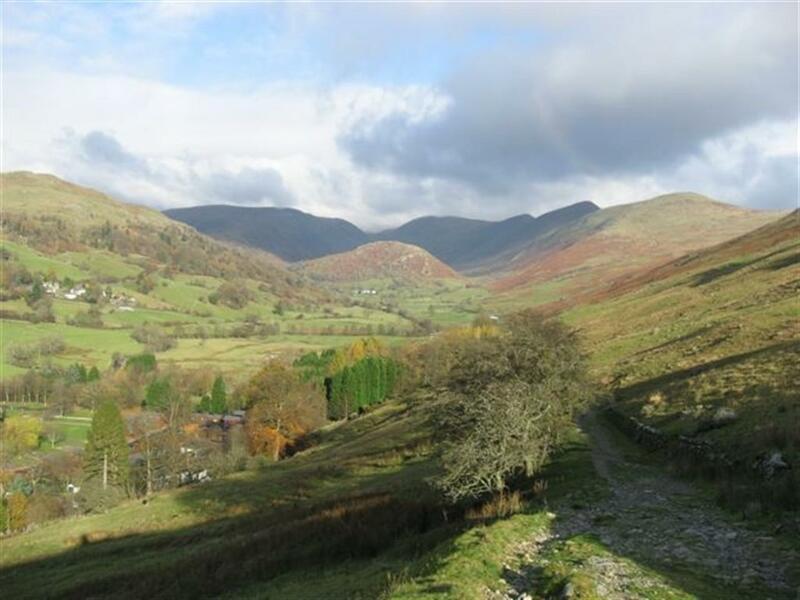 When she died (1943), she gave every acre of it to the National Trust, which is why you can visit the Lake District today and see beautiful green landscapes and open fields instead of miles of holiday cottages. The same shy, sweet Miss Potter who wrote all those bunny books became one of England’s most important conservationists. If you’d like to enter our drawing for a copy of The Tale of Oat Cake Crag, go here. This drawing closes at noon on September 18. Susan Wittig Albert writes the bestselling China Bayles mysteries, the Cottage Tales of Beatrix Potter mysteries, and the Robin Paige Victorian/Edwardian mysteries written with her husband, Bill Albert. Click here to heck out her website. Now, that is one hellava lady! Going to grab as many of her books as I can- the least I can do is make addicts out of my kids. I still have four books at least that are all done by Ms. Potter as well as I own the movie and the soundtrack. I fell in love with the stories and have some of them on DVD. I am blown away and sooo want to own these books!!! I have all Ms. Potter's books. They are so cozy and comforting. Susan I love your concept. I need to pick up some of your books. Miss Potter was an amazing woman. I once misguidedly illustrated a children's book attempting her style, and thereby gained a whole new appreciation of her. I've loved your representation of her life, Susan. Somehow, I never knew she'd donated that much land to the National Trust. I had all the Beatrix Potter books until 1963, when my mother gave them all away, along with my Nancy Drew collection. I never forgave her. The images had a lasting effect on me. In fact, I currently have a picture of Mrs. Tiggy-Winkle over my desk--she was the inspiration for the next book in my Museum series. Although I'll admit I always wondered how a hedgehog wore clothes--all those spines. Thank you for the interesting biographical information--she sounds like quite a woman. I think I learned to read from Peter Rabbit--at least, I memorized the story from hearing it read so many times, and replayed it in my head as I looked at the sentences. I "rediscovered" her when Bill (Hubbs) and I decided to use her as a major character in our second Robin Paige mystery, Death at Gallows Green in 1995. I started my research on her then an gained a new respect for her. She is an astounding example of what practice can do - that woman gave herself a tremendous art education through drawing from nature and visiting the fine art shows of the times. And that discipline of hers! The determination to follow her path! Such a role model. Thanks, Susan. The Cottage Tales are fabulous - a real treat for grown-ups to read, but I think YA,too. Don't you? I have loved every day of this tour, but this article may be the best. No wonder you came to admire Ms Potter--what a remarkable woman she was. This gives me a whole new appreciation for her books and her life--and for your series. Susan, thanks for staying with the tour. I really appreciate your support--and your comments. Beatrix seems remarkable to me, as much for her contradictions as anything else: so committed to obeying (yes, that's the right word) her parents' commandments, while at the same time forging her own way, separately. She seems to me to live two different lives in the years 1905-1913: a life in London, and a life at the Lakes. There are Beatrix Potter cosy mysteries? Why have I never heard of them? I will try them! Looking forward to reading this books! A woman ahead of her time, and an amazing author and artist. I look forward to reading the first couple books in this series next month for the Cozy Mysteries discussion at GoodReads! Ahead of her time in many ways, Heather--although where her parents were concerned, she was distinctly (and dutifully) Victorian. I'm looking forward to the Cozy Mysteries discussion, too. Thanks for mentioning it, and including the link! Thank you Susan for writing the Cottage Tales of Beatrice Potter. I absolutely love it, as I did as a child love the Beatrice Potter books. Glad you're enjoying the series, Helen. Thanks for stopping by. I've always loved Beatrix Potter. I collected figurines of her characters when I was a girl. I'm sorry to say I haven't seen these books, but I'm going to search them up now! I have a few figurines, too, Misa--but what I love most of all is my china Hill Top house. It's beautifully detailed, just gorgeous. Beatrix didn't live to see all the wonderful figurines that have been created from her characters. She tried to get her publishers to do more with what we now call "spin-offs," but without much success. She'd love to see what's available now. What a great woman--and a great post. Thanks for stopping by the Cozy Chicks, Susan! Enjoyed the book, enjoyed the tour! Thanks to Susan and all her hosts. This book sounds fabulous. I love Beatrice Potter's story--she's one strong, independent woman! Fascinating back story that I never knew. Thanks, Susan, for enlarging my horizons. Welcome to Cozy Chicks, Susan, and thank you for telling us that wonderful "tale" of Beatrix Potter. I had no idea she was responsible for preserving all of that land in the Lake District. Wonderful. Thanks, Cozy Chicks, for hosting me!